It is not often that a Ritz-Carlton becomes a detention facility. But last November, when a large slice of the Saudi elite was arrested on accusations of corruption, the luxury hotel in Riyadh became a gilded prison for hundreds of princes, billionaires, and high-ranking government officials. Behind this crackdown was the young crown prince, Mohammed bin Salman, also known as MBS, who is attempting to remake the kingdom’s economy and social life, and even the House of Saud itself. At only 32, MBS is already the most powerful figure in contemporary Saudi history, having sidelined other members of the ruling family with the full support of his father, King Salman. His concentrated authority and evident will to shake up the system make it possible for him to do great things. But he has also removed the restraints that have made Saudi foreign and domestic policy cautious, conservative, and ultimately successful amid the crises of the modern Middle East. Whether the crown prince can pull off his high-stakes gamble, which the Middle East expert Bernard Haykel terms a “revolution from above,” without destabilizing his country and adding to the region’s chaos remains an open question. Conventional wisdom has it that the Saudi regime rests on a social compact among the ruling family, the religious establishment, and the economic elite. The system is lubricated by enough oil wealth to also fund a substantial welfare state. But that view is only half right. Over the decades, oil wealth has lifted the ruling family above its partners and the governing princes above the other members of the extended House of Saud. Religious elites are now state bureaucrats, not equal partners in governing. The business community is also a junior partner, more of a lobby than an independent actor. The crown prince’s campaign is further redefining the role of the regime’s traditional pillars of support while also appealing, in a most unmonarchical way, to an inchoate Saudi public opinion. So far, MBS appears to be popular among many Saudis (although accurate measures of public opinion are notoriously hard to come by in authoritarian regimes). The problem is that public opinion is fickle. The institutional interests of elites, as conservative and self-interested as they may be, are a much more reliable basis for monarchical rule. The crown prince’s most ambitious goal, which he outlined in his Vision 2030 plan, is to diversify the Saudi economy and reduce its dependence on oil. The collapse of oil prices in 2014 convinced him that the kingdom could no longer support the welfare state that has been in place since the 1970s. He has already reduced subsidies on utilities such as water and electricity, which were practically free in the past, and has imposed a five percent value-added tax (VAT) on many commercial transactions. The private sector is key to the plan’s success. Right now, the vast majority of Saudi workers are employed by the state. Vision 2030 calls for the private sector to invest more in the economy and become a greater source of employment. The privatization of five percent of the state oil company Saudi Aramco—the most publicized element of Vision 2030—aims to generate revenue for the government’s Public Investment Fund, which will invest both at home, in the local private sector, and abroad, as a sovereign wealth fund. All of this made the Ritz-Carlton roundup even more puzzling. Why did the crown prince arrest the pillars of the private sector—the very people he needs to make Vision 2030 work? Saudi officials contend that a dramatic, public strike against high-level corruption will help level the playing field and encourage greater investment going forward. But the crackdown’s opaque and arbitrary methods—detentions without public charge, financial settlements negotiated for unspecified crimes, and the alleged use of brutal coercive tactics—could lead the country in the opposite direction. The path that MBS chooses in the aftermath of the Ritz-Carlton crackdown will determine his country’s future. The long-term effect of the crown prince’s gambit will hinge on what kind of leader MBS really is. If he is like Chinese President Xi Jinping, he will use the anticorruption campaign not only to settle political scores but also to actually reform the economy. In that case, a reconstituted and chastened private sector might, with the right incentives and sound government policy, become an engine of growth. On the other hand, if MBS is more like Russian President Vladimir Putin, he will simply replace the old oligarchs with new ones of his own choosing. That path is certainly open: the Saudi government has obtained a substantial interest in at least one major company, the construction giant the Saudi Binladin Group, in exchange for releasing its chief executive, and it might be doing the same with the Middle East Broadcasting Center. This approach would solidify the crown prince’s power but undermine the potential for meaningful reform. Equally troubling, he might be more like King Henry VIII. Faced with mounting expenses from fighting wars overseas and consolidating his rule at home, the king of England took over monasteries and other religious endowments when he declared himself head of the Church of England. But rather than maintaining these institutions as a steady source of income, he sold most of them for a one-time infusion of funds. There is some indication that MBS is feeling similar fiscal pressures. The Wall Street Journal reported that King Salman had unsuccessfully implored leading businesspeople to contribute to the government’s coffers before the November roundup. The wolf is hardly at the door: the government has around $500 billion in reserves. But some of the crown prince’s more ambitious plans, such as building a futuristic city dubbed “Neom,” have not excited much enthusiasm from the Saudi business elite. Shaking down business leaders would yield money for pet projects, but this tactic can be used only once. If foreign investors and domestic business elites think that they are perpetually at risk of being arrested or having their assets seized, they will be much less likely to invest in the country. At a minimum, the crown prince has redefined what corruption means in the kingdom. The problem is that observers, both domestic and foreign, are not yet clear on what the new definition is. The path that MBS chooses in the aftermath of the Ritz-Carlton crackdown will determine his country’s future. On the social front, the crown prince has already made bold decisions. In September, he tackled the most fraught Saudi social issue by declaring that, as of June 2018, Saudi women will have the right to drive. This decision has elicited barely a peep of domestic opposition. As education levels rose and more Saudis experienced life abroad, the argument that the kingdom was “not ready” or “too conservative” for this change rang increasingly hollow. And the objections of some clerics that driving would endanger Saudi women’s moral standing were risible, given that the alternative was for Saudi women to be driven by male drivers (either in taxis or in their families’ cars) who were not members of their families. Saudi society had been ready for this change for some time; the country’s leaders had simply lacked the political will to pull the trigger. The crown prince has that political will, in spades. Having women behind the wheel will bring enormous changes to the country. More women will be able to join the work force. Hundreds of thousands of foreign workers employed as drivers will no longer be needed. Men will not lose productive hours transporting their wives, mothers, and sisters to doctor’s appointments and other meetings. It is hard to overestimate the impact of this decision. The crown prince has publicly talked about “going back to how we were, to the tolerant, moderate Islam that is open to the world.” Although this interpretation of Saudi history is questionable, his commitment to change is real. In addition to deciding to allow women to drive, he has limited the powers of the religious police and opened up Saudi social life. Musical concerts, movie theaters, female attendance at soccer matches, and a greater number of public social events will help make the country more “normal,” at least for those Saudis who have lived or visited abroad. Undoubtedly, some in more conservative religious circles will object to all of this, and there might be isolated instances of a violent backlash, as there were when the country introduced television and education for girls in the 1960s. But history has shown that these changes will soon become normalized. The wives of clerics will be among the first behind the wheel. All this social change gives a more accurate picture of the relationship between the religious establishment and the ruling family. Ultimately, the religious elites are state employees who take orders from above, not equal players with a veto over government policy. During every major crisis in modern Saudi history, the religious establishment has supported the government’s decisions, including the implementation of social changes in the 1960s, the retaking of the Grand Mosque in Mecca from millenarian zealots in 1979, the invitation of foreign troops into the kingdom during the Gulf War of 1990–91, and the crushing of local al Qaeda elements in the early years of this century. Religious elites may not like the crown prince’s policies, but they are not leading a charge against them. Religious opposition to the regime comes from outside official circles, from radical groups such as al Qaeda and the Islamic State (or ISIS) and from Islamist populists who call for both greater adherence to Islamic law and more political freedom. The state has been able to suppress these movements for the last century. There is no reason to think that has changed. Equally audacious but less noticed abroad has been the crown prince’s consolidation of power within the ruling family. Since the 1960s, the kingdom has been ruled by a de facto committee of senior princes—all sons of King Ibn Saud, the founder of modern Saudi Arabia—with the king as first among equals. Some kings were stronger than others, but all of them sought consensus on important decisions among their family members who held the key ministries and governorships across the country. This style of government had all the vices of rule by committee: it was ponderous, conservative, and not readily able to seize opportunities. But it also had its virtues: its decisions were well considered, there were checks on bad ideas, and everyone important was on board once a decision was made. As the sons of the founding king grew old, some observers questioned how the system would be sustained. Most Saudi watchers, myself included, assumed that the sons of that generation would take the places of their fathers and reconstitute committee governance. We were wrong. When King Salman assumed the throne in 2015, he originally appointed his half brother Prince Muqrin bin Abdulaziz to be crown prince, keeping the succession in his own generation. But the king jettisoned Prince Muqrin a few months later in favor of one of his nephews, Mohammed bin Nayef. MBN, as he is known, is part of the Saudi royal family’s third generation, the son of the former interior minister, who had inherited the leadership of that ministry from his father. MBN also became the main point of contact for U.S. officials in the burgeoning intelligence and counterterrorism partnership that had developed between the two countries after the 9/11 attacks. MBN was a safe choice to become the first king of his generation—experienced in government, successful in maintaining internal security against threats from al Qaeda and ISIS, and well known and respected in Washington. But in June 2017, King Salman removed MBN from his position as crown prince and from his ministerial post and elevated his favorite son to become the heir apparent. The new crown prince’s ascent was remarkably fast—MBS had become a minister only two years before, when he succeeded his father as minister of defense. At that time, the king had also appointed him to head a cabinet committee overseeing economic and social policy (MBN was in charge of a similar committee on security issues). With the cashiering of MBN, the new crown prince became the focal point for all major decisions in the government. Although some saw the Ritz-Carlton roundup as a consolidation of power, MBS had already secured his position by then. To be sure, a number of princes were involuntary guests at the Ritz. The most important of these was Miteb bin Abdullah, a son of the former king, who served as the commander of the National Guard. After his November arrest, he was stripped of that position and removed from the cabinet. But no one questioned that MBS was in charge, even before November 2017. 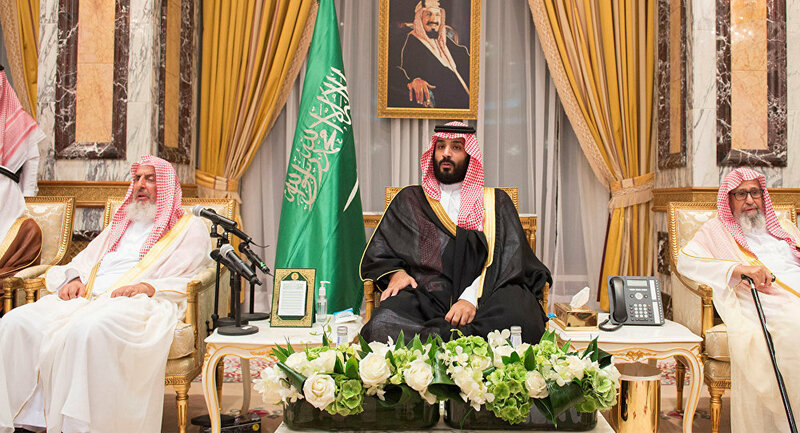 In effect, the crown prince has cut out a large number of his older cousins, many of whom had previously held high positions in government and were looking to inherit their fathers’ seats at the decision-making table. This has occasioned more than a little grumbling in family circles, some of which has seeped out into the Western press. But there are no indications, at least not publicly, of a serious mobilization inside the House of Saud to block MBS from eventually succeeding his father. Dangerous splits in the family have happened before, most recently in the late 1950s and early 1960s, when King Saud and Crown Prince Faisal contended for power. But the signs of that split were clear and public. People were fired from jobs and then returned when their man was on top, the protagonists took extended leaves outside the country after they lost a skirmish, and family councils were called to adjudicate the conflict. In the end, the family deposed King Saud in 1964. Nothing approaching that kind of open contest for power is occurring now. It is possible that MBS will face familial opposition when his father dies. The House of Saud famously tries to keep family business out of the public eye, so there could be things going on that outsiders do not know. Perhaps in anticipation of a move against him, the crown prince has been appealing to younger family members, particularly in the fourth generation, who are below him in the hierarchy but close to him in age, by appointing many of them to subcabinet positions in Riyadh and positions of authority in the regional governorates. They could become his supporters if trouble arises. For now, his path to ultimate power seems secure. The crown prince now stands at the top of the Saudi decision-making process. He answers only to the king, who has granted him wide-ranging powers, allowing him to make difficult decisions that were previously kicked down the road, such as pursuing economic reform and allowing women to drive. But it also means that there are few checks on an ambitious and aggressive leader who may not fully calculate the second- and third-order consequences of some of his actions. Some recent Saudi foreign policy decisions suggest a certain amount of recklessness. In November 2017, for example, as the Ritz-Carlton roundup was under way, the Lebanese prime minister, Saad Hariri, made an unscheduled visit to Riyadh. A few days later, he announced his resignation from the Saudi capital, under obvious pressure from MBS. This was clearly a Saudi power play meant to put pressure on the Lebanese political system in hopes of dealing a blow to Hezbollah, Iran’s ally in Lebanon. Instead, the move backfired, as the United States and Saudi allies in Europe told the kingdom to back down. A few weeks later, Hariri returned to Lebanon and rescinded his resignation. Likewise, in the summer of 2017, Saudi Arabia and the United Arab Emirates led a number of other Arab countries in a boycott of Qatar, accusing the Qataris of supporting Islamist groups, backing terrorists, and meddling in the domestic politics of their neighbors. But far from knuckling under, Qatar has withstood the pressure and drawn support from Iran and Turkey. In both cases, Saudi Arabia did not achieve its objectives. Some recent Saudi foreign policy decisions suggest a certain amount of recklessness. Many would classify the Emirati-Saudi military offensive in Yemen as another example of an aggressive and unsuccessful MBS policy. Undoubtedly, the Saudis and their partners assumed that the operation, which began in 2015, would swiftly drive back the rebel Houthi militants and restore the Saudi ally Abd-Rabbu Mansour Hadi to the presidential palace in Sanaa. It did not turn out that way, and international pressure on Riyadh is mounting as the human toll of the campaign has reached alarming levels. But unlike the Lebanese and Qatari gambits, the Yemeni campaign touches more directly on what most Saudis see as their national security. One can argue about the extent to which the Houthis are tied to Iran, but Saudi Arabia considers Houthi control of Yemen as tantamount to allowing Iran a base of influence on the Arabian Peninsula. No Saudi government would have stood by and allowed that to happen. The war in Yemen is a drain on Saudi resources and a blot on the country’s international reputation, but it still enjoys broad support among Saudi elites. The question now is how to bring it to an end. Unlike past Saudi leaders, MBS can make dramatic and unilateral decisions. But this freedom of action also means that he can engage in foreign policy adventures that would not have moved forward under previous rulers. He may be learning from his mistakes, but given his ambition and impulsiveness, the world should expect more surprises. The crown prince has few checks on his decision-making power from within the Saudi political system, but he still has to respond to public demands. More than any other recent Saudi leader, MBS has cultivated public support, especially among younger Saudis. In January, responding to public grumbling about the increased prices of water, electricity, and gasoline and the imposition of the five percent VAT that took effect in mid-2017 and early 2018, MBS restored an annual pay raise for government employees that had been suspended as part of earlier austerity moves, and he granted government employees a bonus of about $250 per month for “cost of living.” The crown prince also established a “citizen’s account,” which directly transfers cash to Saudis in the middle and lower economic strata. 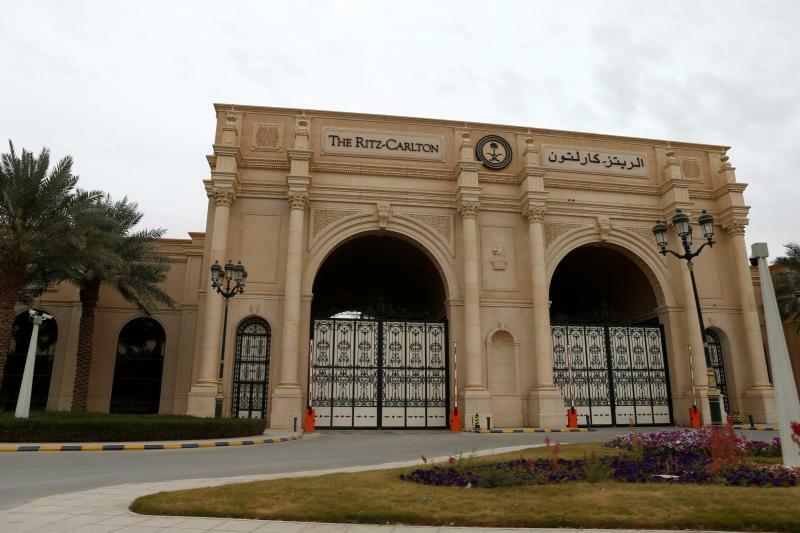 Saudi officials are now saying that the money recovered from those held in the Ritz-Carlton will be used to support this fund. These new benefits could be read as a move away from the goals of balancing the state budget and making public-sector jobs less attractive, but it is better seen as a necessary reaction to placate public opinion. Two years of rising oil prices have made it difficult to impose austerity. Sacrifices that might have been acceptable to Saudis when oil was $30 per barrel seem less so with oil above $60 per barrel. Although the crown prince may be headstrong and aggressive, he still realizes that he needs the people behind him. But to transform the Saudi system, he will also have to inculcate a new understanding of what the state is going to provide its citizens. Reducing the welfare state without turning the public against him will be his most daunting challenge. Perhaps nowhere have the crown prince’s moves produced more curiosity, hope, and fear than in Washington. In U.S. President Donald Trump, MBS has an enthusiastic backer—at times too enthusiastic. The fact that MBS became crown prince just a few weeks after Trump’s visit to Saudi Arabia in May 2017 left the impression that Washington had something to do with the change, and the White House was far too quick to imply that MBS had explicit U.S. backing. The president’s excessive friendliness has already had consequences. In June, Trump tweeted his support for the Emirati-Saudi boycott of Qatar, stating that isolating the country might be “the beginning of the end to the horror of terrorism.” This created tension with the Gulf state, which is a crucial base for the U.S. military’s air operations in the Middle East, and undercut moves by Secretary of State Rex Tillerson and Secretary of Defense James Mattis to bring about a quick end to the imbroglio. The sense that the Saudis (and the Emiratis) can appeal directly to the White House through the president’s son-in-law, Jared Kushner, has also made it more difficult for the regular organs of U.S. foreign policy to bring the Gulf standoff to a diplomatic conclusion. 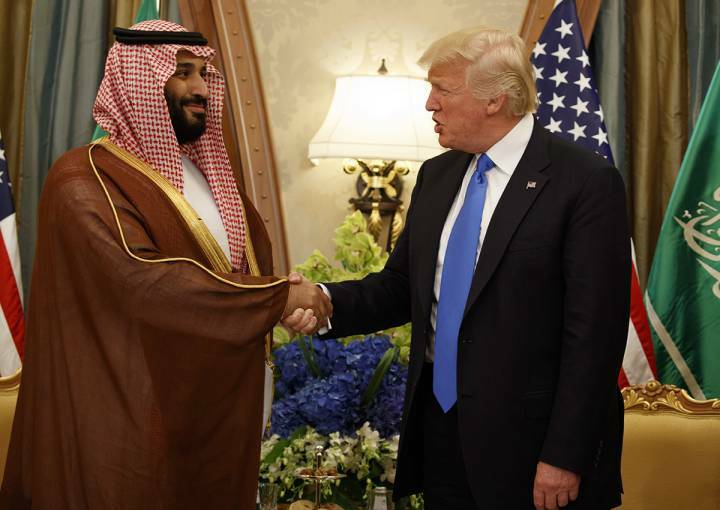 Although Trump’s close public embrace of the crown prince might not serve either’s interest in the long term, it has undoubtedly given Washington considerable leverage with Riyadh in the short term. The administration should think carefully about how to use this influence. Bringing the Saudis on board for a new effort to settle the Israeli-Palestinian conflict would make sense, but only if the Trump plan has a real chance of success. The administration should not play the Saudi card on the peace process if it is not going anywhere—and there is little reason for optimism. When it comes to Syria, Trump has shown little interest in a new peace initiative, so there is no reason to engage the Saudis there. Riyadh is already in agreement with a more confrontational policy toward Iran. And the administration has successfully pushed the Saudis to reengage with the government of Iraqi Prime Minister Haider al-Abadi, which is a positive step in the long-term effort to stabilize Iraq and reduce Iranian influence there. The place where Trump could most productively use his close relationship with the crown prince is Yemen. The administration should continue its efforts to push the Saudis to address the human catastrophe through more effective aid and more discriminate military action. The Houthis also have much to answer for regarding the suffering of Yemeni civilians, and international pressure should focus as much on them as on the Saudis. Any diplomatic initiative to end the fighting will require that the United States decide whether it wants to see the redivision of the country into two states, as was the case before 1990. It will also involve sophisticated outreach to Iran, the only regional power with any influence over the Houthis. This can be accomplished even as the Trump administration works to contain and roll back Iranian influence in the Arab world. 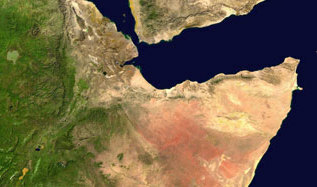 Oman has acted as a conduit to Iran before, and European countries can also deal directly with the Iranians. If Tehran is at all chastened by the antiregime protests that broke out across Iran in January, it might be open to reducing its involvement in the regional conflict that least affects its interests. Stabilizing Yemen will not be easy, but such an effort would give Saudi Arabia a desperately needed exit ramp from a costly campaign and alleviate one of the world’s most searing human tragedies. Meanwhile, Washington should pay close attention to how the crown prince handles the aftermath of his anticorruption campaign. If MBS becomes his country’s Xi, then the United States should maintain its pragmatic alliance, which is based on mutual benefit rather than shared values. But if MBS turns out to be more like Putin or Henry VIII, privileging political cronies and treating the private sector as his personal ATM, then the longer-term prospects of the kingdom in a world where oil prices are unlikely to return to the historic highs of the early years of this century will be much less certain. In that case, the United States will need to look elsewhere for a partner in stabilizing the region.